Susanne Höber (1930- ) was a very bright little girl. 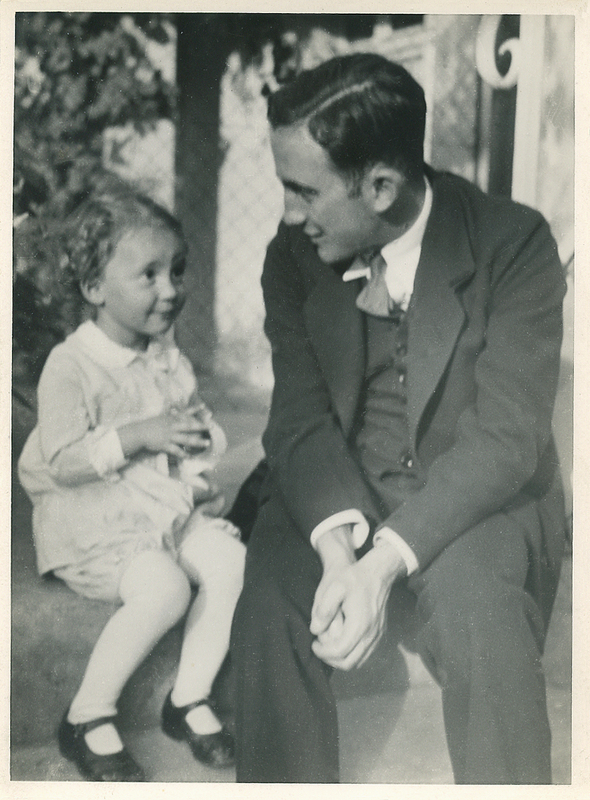 In this photograph taken in November 1932, at the age of 2 ½, she tells her father a story. The caption on the back of this picture (in her mother’s handwriting) says: “Susanne erzählt dem Papi vom Rotkäppchen: ‘Nu das Rotkäppchen brachte der Oma eine guhde Supp.’ Nov 1932.” [ “ … well and Little Red Riding Hood brought her Granny some gooood soop.”} There is also a photo of Susanne with her mother. 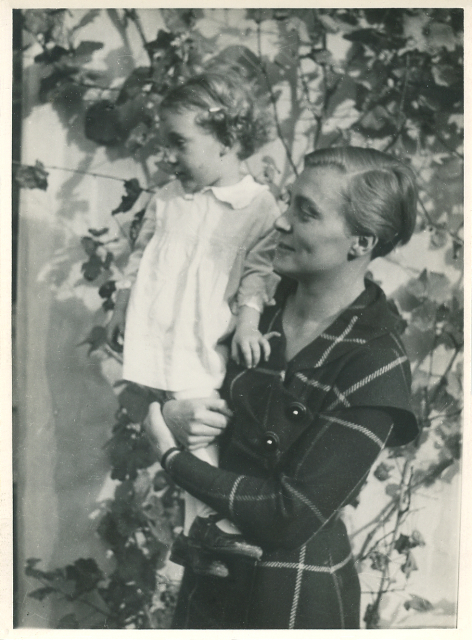 The pictures were taken in a garden in Mannheim, where Johannes (1904-1977) and Elfriede (1904-1999) lived with Susanne. This was a few months before German voters handed their country over to the Nazis. In the 1790s, Kaiser Franz II, the last of the Holy Roman Emperors, granted Jacob Hirsch the authority to change his name. For reasons unknown, Jacob Hirsch chose the name Höber (in English, Hoeber). His son, Heinrich, used the name Höber from birth. Jacob had come from Pfortzheim to Karlsruhe, where he served in the court of the Markgraf of Baden, but he also served Kaiser Franz in Vienna. 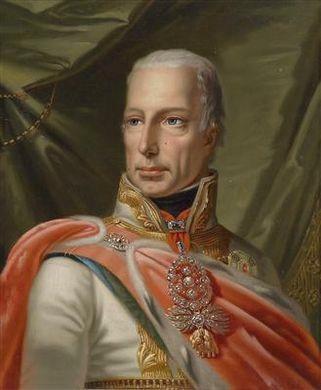 During the Napoleonic wars, Hirsch found ways to provide supplies to the Kaiser and in exchange was granted the right to travel anywhere within the Empire. 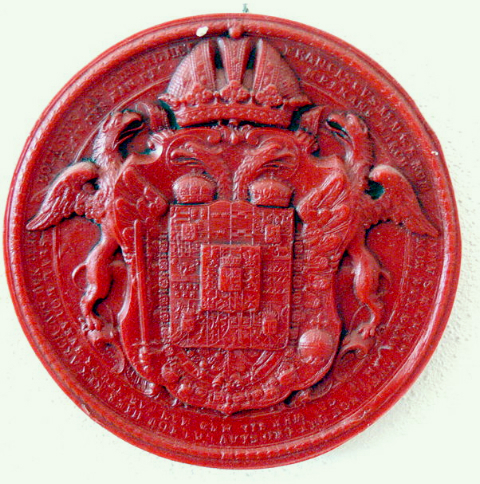 He was designated Königlichen und Kaiserlichen Hoffaktor, or Imperial and Royal Court Agent. Jacob Hirsch’s appointment and authority were recorded in large calligraphy on a parchment certificate, complete with the Kaiser’s 5″ diameter wax seal. The certificate served as a passport whenever Jacob traveled. It was destroyed in a bombing raid on Duesseldorf in 1943. Kaiser Franz II, last of the Holy Roman Emperors and First Emperor of Austria.